Intricate moulding. Bold tiles. Rustic details. There is nothing quite as beautiful as a home with history. Full of life and personality, old homes in the Kansas City area offer potential no contemporary counterpart can replicate. 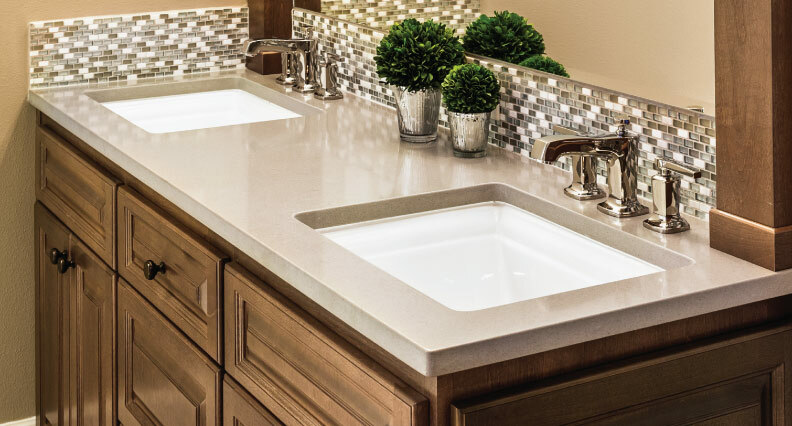 However, old homes have a collection of unique needs that require an expert, like Mission Kitchen and Bath, to address in order for your property to reach its full value. Old homes were simply built differently than modern homes are today. At Mission Kitchen and Bath, we know the ins and outs of these mature construction techniques, and can help you give your old home an upgrade without taking away from what makes it so special to begin with. • Many floors are made with 4-6” thick mortar beds encasing the lead and galvanized piping. • Plaster and lathe are applied with different techniques not commonly seen today. • There is a widespread presence of thick, reinforced mortar as well as tile walls. • The showers and bath tubs used are nonconforming in size and stature. • Often old wiring and plumbing strategies are still in place and need updated. • Most are located on the second floor. • A significant amount of paint is lead based. • Similar to the bath, plumbing and wiring can be extremely dated. • Typically feature very cut up layouts with several doorways (four or more) instead of just two. • Plaster and lathe are used, and often ceilings and floors are not level. • Lead based paint is often used, just like in the bath. • Floor tiles are at risk of having asbestos. If you’re planning on remodeling an old home in the Kansas City area, partner with the experts at Mission Kitchen and Bath. Our professionals can not only identify the vital differences and quirks old homes can have, but will also come up with creative solutions to help you get your dream kitchen or bath, while honoring your home’s rich past. To learn more or to start planning an upgrade for your old home, visit Mission Kitchen and Bath today.